Interested in becoming a Medical Fitness Association Facility Examiner? 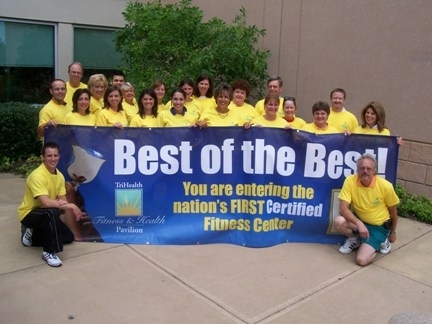 The Medical Fitness Facility Certification is the highest standard for facilities in the industry. As the number of facilities requesting certification continues to increase, we need more qualified examiners to perform facility site visits and examinations. The Medical Fitness Association is looking for qualified professionals to become Facility Certification Examiners! Examiners must be current members of the Medical Fitness Association and have had membership for a minimum of one full (1) year. Examiner Terms will be for three (3) consecutive years at which time they must reapply, review the current Examiner Policy & Procedures Manual and the current Examiner Training PowerPoint. Examiners must complete a minimum of three (3) site visits every three (3) years and attend in person, or video conference, examiner training annually in order to remain active. Lead Examiner: The Lead Examiner must have a minimum of ten (10) years in operating and/or consulting with a medically integrated health and fitness center(s), must have completed any and all updated training requirements by the Medical Fitness Association and must be approved by the Certification Committee as a Lead Examiner. Five (5) of the ten (10) years operational experience must be in a Director Position in a medically integrated health and fitness center, or an acceptable equivalent leadership position as approved by the Certification Committee. A Lead Examiner must also maintain a positive review from each facility where they have served as the Lead Examiner. Any exceptions must be reviewed and approved by the Certification Committee. Second Examiner: The Second Examiner must have a minimum of five (5) years on the staff of a medically integrated health and fitness center, must have completed any and all updated training requirements by the Medical Fitness Association and must be approved by the Certification Committee as a Second Examiner. A minimum of two and one-half (2.5) years of the five (5) years must have been serving as a Department Head in a health and fitness center, or an acceptable equivalent leadership position as approved by the Certification Committee. In order for a Second to move to Lead Examiner status they must also have participated in two previous site visits one (1) Total Center + Aquatics and one (1) other center) and must have two (2) positive recommendations from a Lead Examiner that was teamed with the proposed Lead as a Second Examiner. No employee of the Medical Fitness Association and no person paid by the Medical Fitness Association for services rendered in connection with any aspect of the Medical Fitness Association facility certification process shall be eligible to serve as a Lead or Second Examiner unless granted a case by case exception by the Certification Committee and the Executive Committee of the Board of Directors. Second Examiner must complete at least one (1) Total Center + Aquatics and one (1) other center (of any size) to move to Lead Examiner and also comply with I. a. above. Second Examiner must have a positive review from both Lead Examiners in both locations where they acted as Second Examiner. Lead Examiner must have a positive review by each facility they were Lead Examiner. If either the Lead or Second Examiner receives a negative review the chair of the Examiner Sub-Committee will discuss the negative review with the Examiner and determine the course of action regarding the Examiner status. Examiner Terms will be for three (3) years and during that period they must have completed three (3) facility examinations. Every three (3) years Examiners must reapply and indicate on their application that they have reviewed the current Examiner Manual and PowerPoint presentation. Complete the Examiner Candidate Questionnaire below. Attend the November 7, 2018 Examiner Training Workshop in New Orleans or Web Training Seminar (date to be determined). This is a requirement for all examiners conducting facility certification examinations in 2019. Maintain the confidentiality of the certification process. This includes, but is not limited to: signing the confidentiality agreement, reading the confidentiality statement at the Summation Conference, committing to maintain the confidentiality of all communities of interest interviewed during the site visit. Perform at least three facility exams within a three year period and maintain membership dues. Be thoroughly familiar with all pertinent documents prior to arrival on-site. Maintain a professional presentation and manner. Remember that as an examiner, you are both gathering information and serving as a resource for the facility’s personnel. To perform these roles well, you must be impartial but supportive, polite, non-judgmental (especially in the hearing of anyone associated with the facility), objective, observant, helpful and friendly. Return expense voucher and evaluation to the Medical Fitness Association Office within two weeks of the site visit. Return the report to the Medical Fitness Association Office within two weeks of the site visit. If so, please explain and include length of experience. Are you a current MFA second examiner and wish to become a Lead Examiner? You may provide your CV or additional documentation here. Have you attended an Examiner Training Workshop? If yes, to what extent did you participate in the certification? If yes, please list agency name. Characteristics of the facility where you are currently employed or were previously employed? Conflicts of interest must be avoided. Examiners must decline any assignment in which a real or potential conflict of interest may be perceived. This includes assignment to facilities in which close personal friends (or competitors), former associates, former students or relatives are employed, or facilities of which the examiner has been employed. Examiners should also disqualify themselves if at any time in the past they have served as a consultant to the facility. Conflict of interest may also arise when a clear disparity in the values, philosophies, or orientations of the facility and the examiner would make an objective evaluation difficult or impossible. The process of certification is credible only to the extent that examiners respect, recognize, and maintain the confidentiality of all information obtained before, during and after the certifying process. I have read and understand the Conflict of Interest Statement and will maintain confidentiality regarding all aspects of facility certification.